It's one simple step to get your free copy of the Creative Roadmap to College! 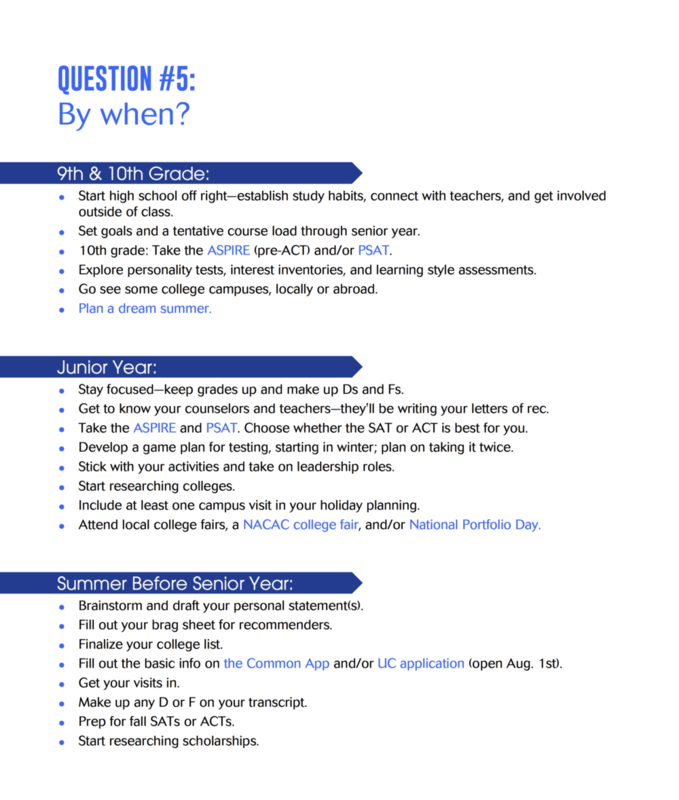 You'll also receive monthly updates, tips, and resources to get creative on the way to your dream college. Don't worry -- we never share your info! Not an e-news sorta person? Opt out anytime. What exactly IS the Creative Checklist? You are starting to develop the language of you, learning how to tell your story, understanding your strengths and need, your goals both for your education and life after graduation. This material is often the foundation not only of great college essays, but also interviews, letters of recommendation, and the communications you'll have with admissions officials. This question lays the groundwork for each of the questions that follow. Nothing is more important in the college selection process than fit. Rigor, course offerings, curricular requirements, student life, campus culture, student groups, location, school spirit, affordability, and more...it's all part of the puzzle. This is the question that sets stellar applicants use to set themselves apart from the rest. You have two objectives: to delve deeper and to see the bigger picture. This stage is all about refining your self-reflection, taking the investigation of your options to a whole new level, and developing a sense of ownership of this process -- and a newfound confidence in oneself. Fall of senior year is approaching, so it's time to shift gears. This is where we get into the logistics: collecting requirements, brainstorming and drafting personal statements, strategizing supplements, filling out the basic elements of the applications. Our primary objective: get ahead of fall! Download your FREE copy of the Creative Roadmap now! Click here to download your Roadmap! Are you excited? Nervous? A bit of both?